Former Liverpool captain and manager Graeme Souness has backed Jurgen Klopp to guide the Anfield club into next season’s Champions League – and he believes that achievement should be the starting gun for an Anfield revolution. 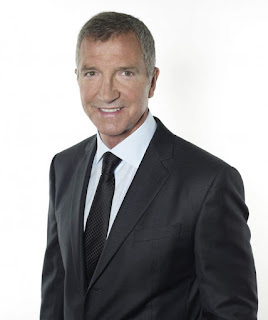 Liverpool’s 2-1 home defeat against Crystal Palace last weekend was a hammer blow to their hopes of a top-four finish in the Premier League, yet Souness believes Klopp and his players will find a way to get over the finishing line in their bid to return to Europe’s elite competition. “Getting into the Champions League should be seen as success for Liverpool, especially after the little collapse they had around January,” Sky Sports pundit Souness told Yahoo Sport in an exclusive interview. “I have heard people say it will be a disaster if Liverpool don’t get into the Champions League for next season, but let’s have some perspective here. “Liverpool have only qualified for the Champions League once in the last seven years, so this would be a big step forward if they can make it and I think they will do it. 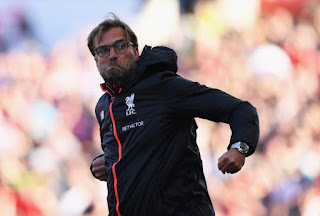 “If they can make it into the top four, that has to be viewed as an opportunity for the club because if they are to progress under Klopp in the next few years, they need to be in the Champions League year after year. “That’s the only way you can attract the top players and clearly, Liverpool need a lot more of those than they have at the moment if they are going to be competitive against Europe’s best next season. “You look at the situation now with Sadio Mane and Adam Lallana out injured. Liverpool’s backup players are inexperienced and not at the level you would want to be stepping in for a big game against Real Madrid or Barcelona next season. “First and foremost, get into that Champions League and then throw some serious money at it. ouness was the first Liverpool manager who tried and failed to add to the club’s 18 English top flight titles and 23 years after he left the club, their wait to return to the top plinth of the game continues. Now Klopp appears to have the club moving in the right direction once more and Souness likes what he sees from the German who he believes has found a second home at Anfield. “I think it was a coup for Liverpool get him,” he adds. “Remember where we were when Liverpool made their managerial change last season. “Arsene Wenger was under pressure at Arsenal, Louis van Gaal was under big pressure at Man United and Jose Mourinho was starting to feel the heat at Chelsea. “I’m sure Klopp would have been on the wanted lists of all those clubs and that may be why Liverpool sacked Brendan Rodgers when they did and went for their first choice candidate. “They could have waited until Christmas, but I think the owners knew they had to act quickly to get Klopp and he is the perfect fit for the club. “I think he sees a bit of himself in the Scousers. You’ll Never Walk Alone was the anthem at his previous clubs Mainz and Dortmund and I just think when the call came in, he thought this was meant to be.